Welcome to the Server Elements Product Unlock Utility. To unlock an instance of your Server Elements software product, the necessary Unlock Code can be acquired using the form below. Once the software is installed and basic networking configured, use another networked computer with a web browser to access the server Status Pages via HTTP. Once you have access to your server Status Pages, navigate to the Unlock Page. There you will be presented with directions and basic facilities that will allow you to easily retrieve an appropriate unlock code for your server. You must have Internet access for that to take place. 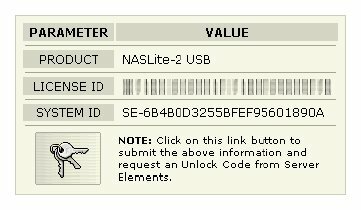 Once your unique Unlock Code is displayed, you can use it to unlock all restricted features of your Server Elements software product. A typical unlock code consists or 5 alphanumeric characters and is unique to your particular installation. Once you have the unlock code, continue by returning to the Administration Utility where you can enter the unlock code.